Two Indonesian helpers work behind the hot station at Restoran 38 in Old Klang Road, blanching noodles in hot water and tossing them in dark sauce or soup. They’re loud and cantankerous, almost as though the customers owe them a living. But that’s how they’ve always been apparently – grumpy but harmless. 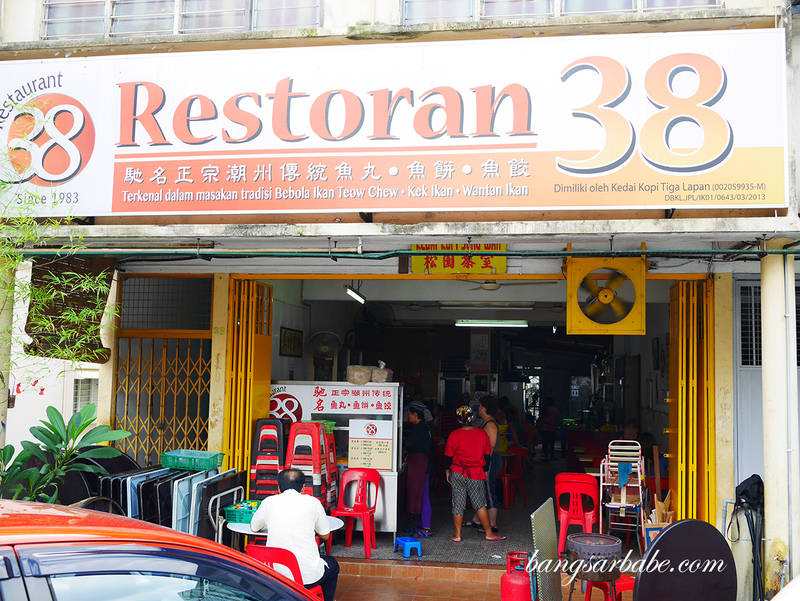 It was my first visit but rif has been here a few times with his colleagues, and decided to bring me here for what Restoran 38 is famous for; the fishball noodles. We placed an order with one of the helpers, smiling politely despite their demeanour because they are after all, the ones behind these piping hot bowls of deliciousness. 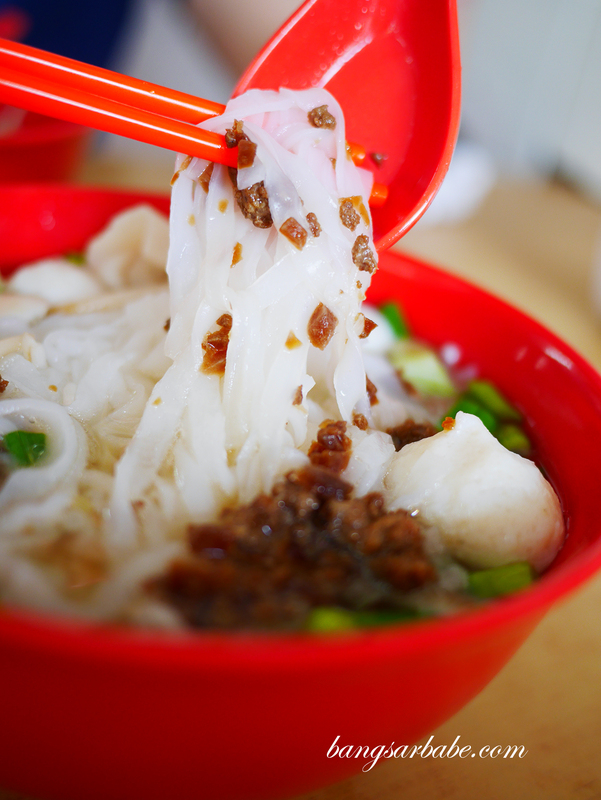 You only get two options here – soup or dry – but what you also get is your choice of noodles (hor fun, vermicelli, yellow noodles or lai fun). We went for the hor fun, one cooked dry style and the other, with soup. The fishballs are more of a highlight if you ask me; firm yet springy and seasoned just enough to allow us to still taste the fish. Between the dry and soup noodles, I enjoyed the former better. 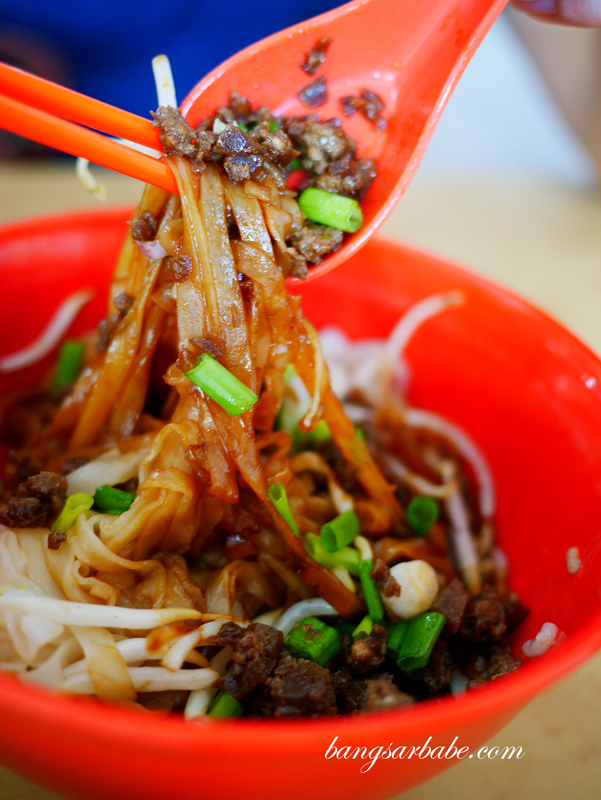 Silky strands of hor fun tossed in a mix of oil, soy sauce and dark sauce, topped with a spoonful of savoury minced pork and a sprinkle of chopped scallions. 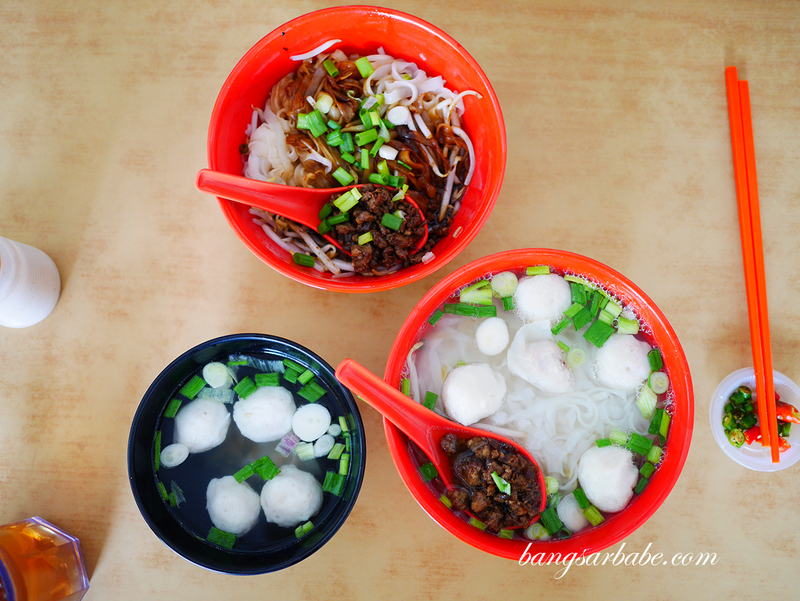 A bowl of fishballs in soup is served at the side. Basic stuff, but it is sometimes the simple things in life that excites. 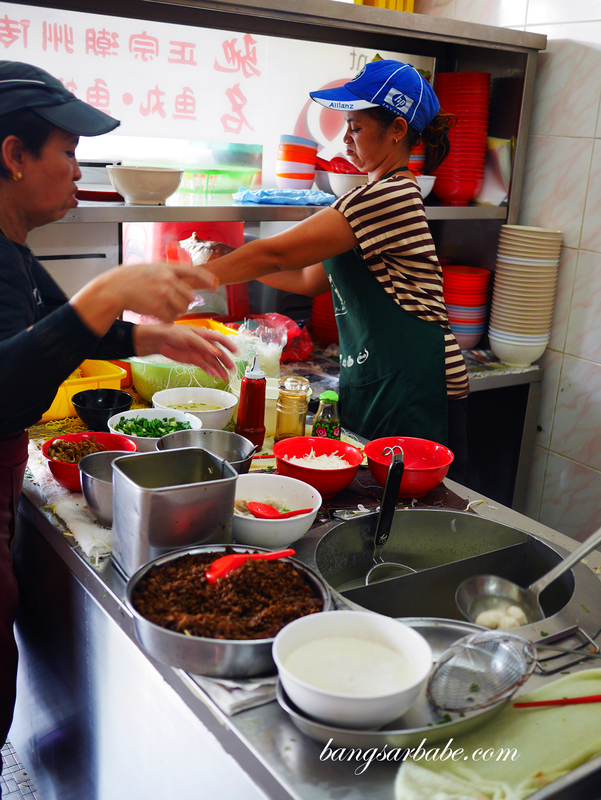 The soup version also comes with minced pork and chopped scallions; I reckon this is ideal for those who prefer soupy noodles. Eat this with some chopped cili padi and soy sauce for extra oomph. At least I do so because I like fiery accents from the chilli. 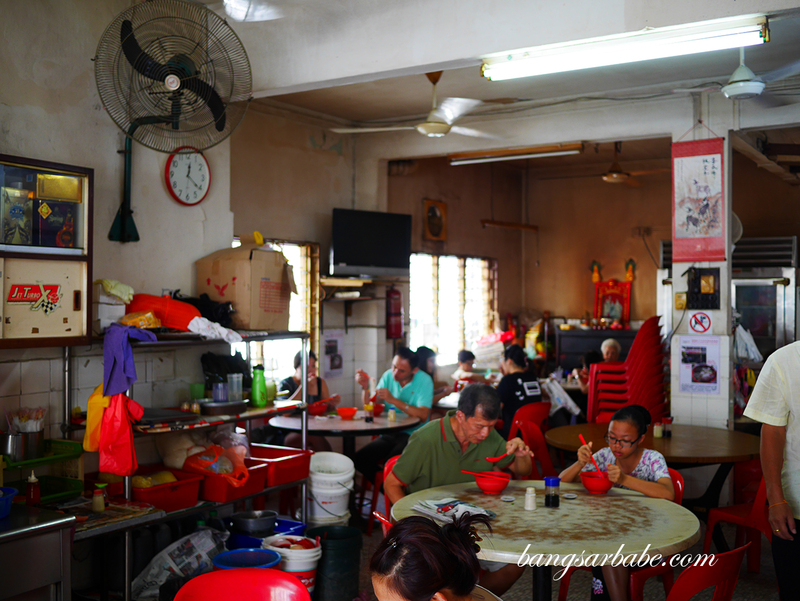 Each bowl of noodles cost RM6 (small) – not too shabby a price and the food is pretty good. Give this a try if you happen to be around the area; this coffeeshop is located near Pearl Point Shopping Mall. 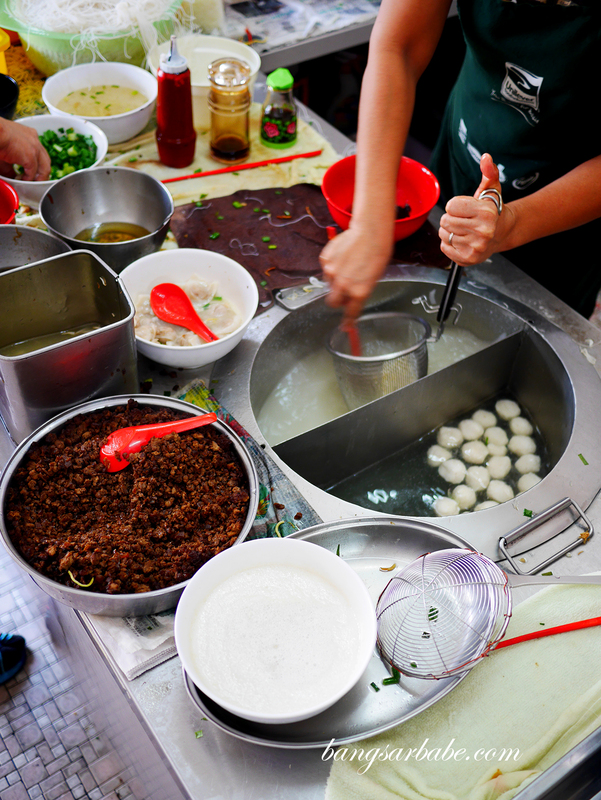 Verdict: Pretty good fishball noodles but the ladies manning the stall can be rather cranky. Hi Sue Lynn. 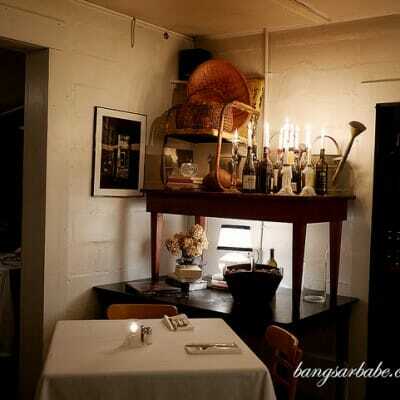 I just love reading your blog as it makes me salivate all the time! Keep it up, love your work!